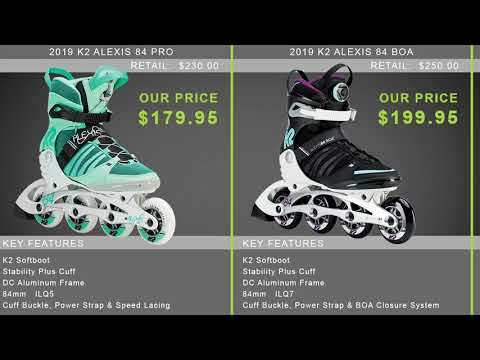 The K2 VO2-S 90 Pro Women's Inline Skates are the perfect cross-training fitness skates for athletes who want to get a great workout and have some fun doing it. Featuring the one-sided VO2-S Frame, the VO2-S Skate offers lightweight performance with precision and maneuverability not before seen on a skate. You'll be able to skate strong, fast and agile in the VO2-S thanks to its lightweight build, quality 90mm wheels and smooth-rolling ILQ 9 Classic Plus Bearings. The VO2-S also come with K2's Vortech Ventilation System to keep your feet cool and comfortable, even during the most grueling of training days. The skate offers plenty of support thanks to the VO2 Cuff, and has a speed lacing system with laces, a Velcro strap and a buckle for a super secure fit. Take your training up a notch with the K2 VO2-S 90 Pro Women's Inline Skates. Q: if i pre order them today will i be put on a waiting list or will i get them shipped to me as soon as they come in stock? A: Pre orders will be shipped within 24-48 hours of in stock date. Q: are these skates higher up? if that makes sense.. are they taller than regular inlines? 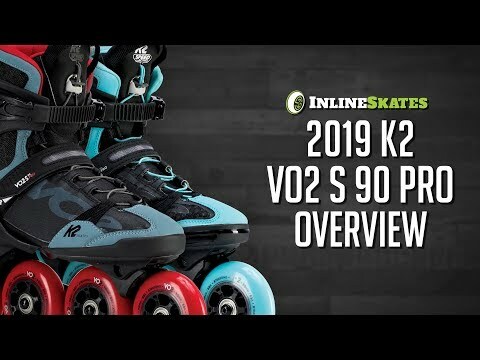 A: The K2 VO2 S 90 Pro Womens Inline Skates feature the VO2 cuff which is fairly standard in height compared to all other inline skates. Q: Can these skates be used indoors? A: You sure can, these skates will work fine indoors or outdoors. Some rinks will not allow wheels that have been used outdoors so if you're skating both indoors and outdoors it may be best to get 2 sets of wheels to swap back and forth. This is due to wheels picking up outside dirt and debris which can be tracked indoors and onto the smooth skating surface. Q: Do these skates have ankle support as well? A: Yes, the VO2 S 90 Pro Women's skates have great ankle support both with the inner linker and with the VO2 cuff. Q: If i pre-order them, When will they be able to be shipped to me? A: Expected in stock date is currently Sunday Nov 04 2018 and will ship 24-48 hrs after that.